In Dragon Age: Inquisition you play as the Inquisitor, also known as the Herald of Andraste. You’re able to choose the Inquisitor’s race, gender, class, and voice set. The character customization goes very deep and you’re able to get the exact kind of look that you’d want your character to have. As the Inquisitor you are expected to figure out how to solve the main problem with everyone in the world of Dragon Age: Inquisition. There is a giant hole in the sky and demons are pouring out, the Inquisitor must close it and the people believe that the strange mark on the Inquisitor’s hand has the power to do so. You don’t remember how or why you have the mark of the rift, but it sure is a key part to the whole plot of the game. Every choice you make effects how your story will be fulfilled and that is why I really wouldn’t mind playing this game over and over again. There really are a lot of different essential choices that you as the Inquisitor must make in order to move on to the next task. Some of the choices can either help or hinder you but it’s up to the player to decide what happens. Certain decisions will make other party members want to leave the Inquisition, whereas there are also choices that will allow others to join the Inquisition with you. 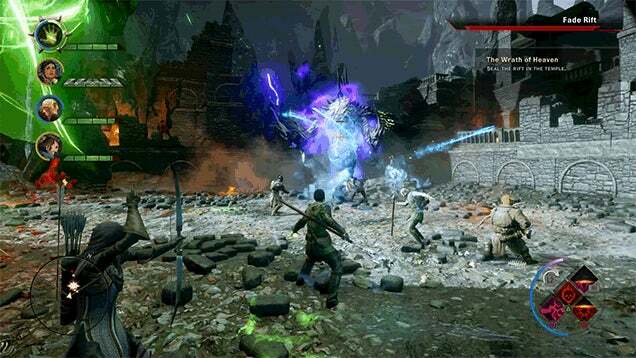 As you progress through the game by completing important quests and side quests you start to build the Inquisition bigger and better with more allies and bigger compounds. Once the Inquisition is actually built up then you can go to the war table with all of your leaders and then dictate what the next move will be whether that is moving on to another region and exploring it, gathering resources from certain regions or doing small helpful tasks throughout the lands – it’s all up to you as the player. There are plenty of different areas to explore in Dragon Age: Inquisition. You actually don’t even need to explore every area in order to beat the main story line but if you choose to explore other areas and complete some of the quests there then it’ll help you out in the long run, especially for the final showdown at the end of the story line. I’d share a little bit about it but I don’t like to spoil good endings! 😛 The game features over a dozen areas that are full of different types of resources for crafting, weapon/armor making and building certain important items as well as an abundant number of quests and enemies to kill. You’ll be able to travel through forests, winter lands, deserts and more as you journey through Dragon Age: Inquisition in a quest to stop the madness of what is happening with the rifts. Each area you see on this map is a complete open area with different quests to complete and loot to grab. One of my favorite parts about this game is the weapon/armor crafting system. You can go into finite detail as to how your different weapons and armor types look in-game. Weapons, for example, you’re able to choose which kind of handle you have on your weapon and what kind of effects that handle gives you to benefit you. For example you could put a spiked handle on your sword that gives you 10% more attack power and you also added a haft on the bottom of your weapon to increase your strength attribute by 5 points. You can choose which color your weapon/armor is by using different types of material such as iron or bloodstone. It’s your creation, create it how you see fit. All in all if you’re looking for an open-world game that you can explore for hours and not really get bored of it then this is probably the next game you should add to your library of games. I put in over 20 hours just trying to complete the main story line and I haven’t even explored each area yet! I’ll definitely be making another character just so I can make different decisions and explore different regions that I have yet to see. So what do you guys think of my Dragon Age: Inquisition review for PC? Have you played it and if so what do you like about it? Tagged best pc games, dragon age inquisition, rpg game. Bookmark the permalink. 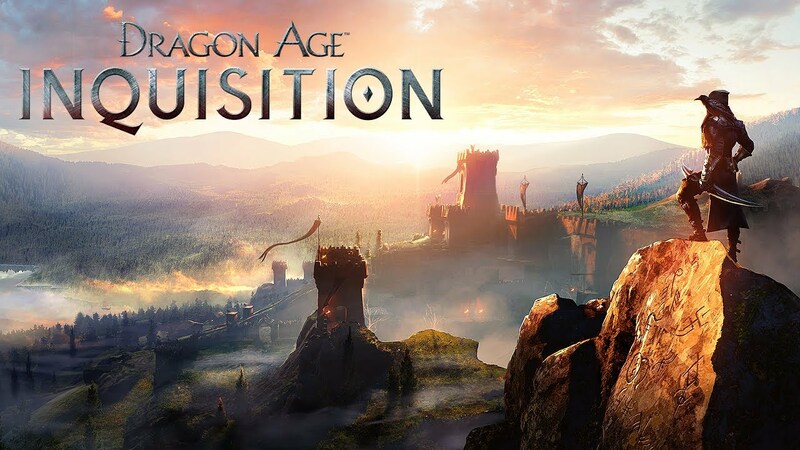 I have not heard of Dragon Age: Inquisition before but it looks pretty cool. From what you say, you get good personalised interaction from this game, that definitely makes things more interesting. Hey there Tony, yeah this game let’s the players dictate exactly how their weapons look and exactly how they deal damage to enemies as well as many other customizable features. Very informative. I have played all the Dragon Age games, but haven’t got this one yet. I will have to try it out. It’s very fun Robert if you liked the other ones then you’ll for sure love this one! Hi Colton. I never use to like games like this, until my kids got into them. I started watching out of the corner of my eye and now I love the action. 🙂 It makes it a lot more fun when you can really customize your character. I also like that you can choose the handles on your weapons and what effects they are going to have. I’m going to have to check this new Dragon Age game out. Hey Michelle, yeah Dragon Age: Inquisition is a great game with much to do and much to create! Your kids would probably also love this game!